Pfc. Donald D. Dean, son of Mr. and Mrs. Richard D. Dean, graduated from Manitou High School. 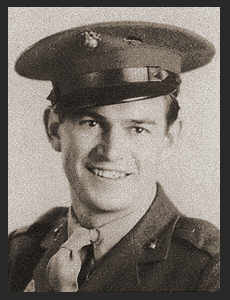 Entered the Marines in Aug. 1943, trained in San Diego, Jacques Farm, Camp Pendleron, Oceanside, Cal. ; went overseas in Jan. 1944; served in Hawaii, the Marshalls, Ellis, Guadalcanal, Florida the Russells, Saipan, Guam, New Hebrides; was discharged in Aug. 1945. Awarded Pres. Unit Citation, the Purple Heart, Good Conduct Medal, Am. Theatre Ribbon, Asiatic Pacific Ribbon with two Battle Stars.